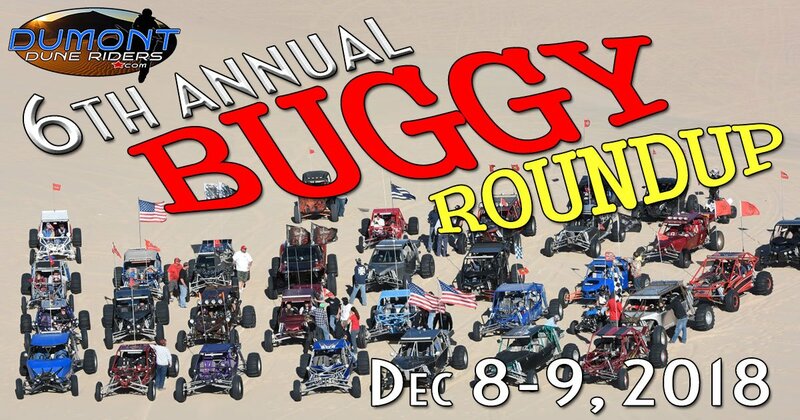 Our 6th Annual Buggy Roundup is Happening Dec 8-9! Calling all sandcars! 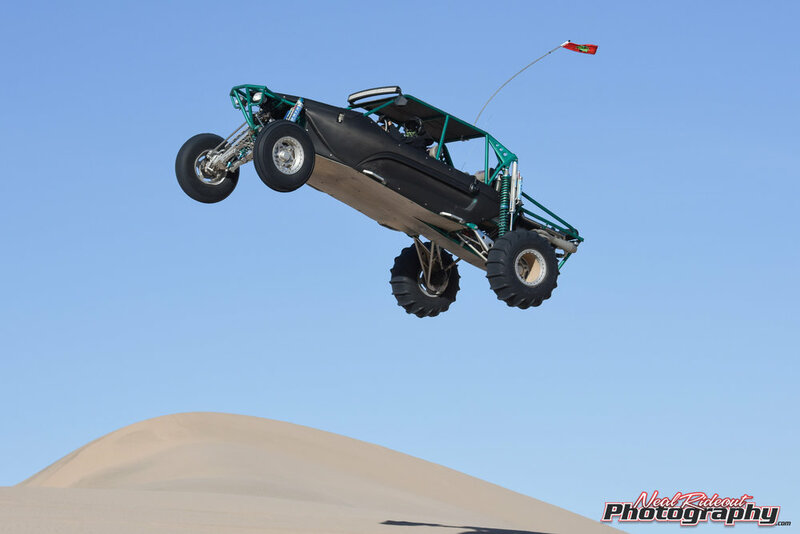 Come join us at Dumont Dunes for our 6th Annual Buggy Roundup. This is a group trip for all the sandrail members of DDR. We'll be camped as a group across from bathroom 10, just off the right side of the entrance road. 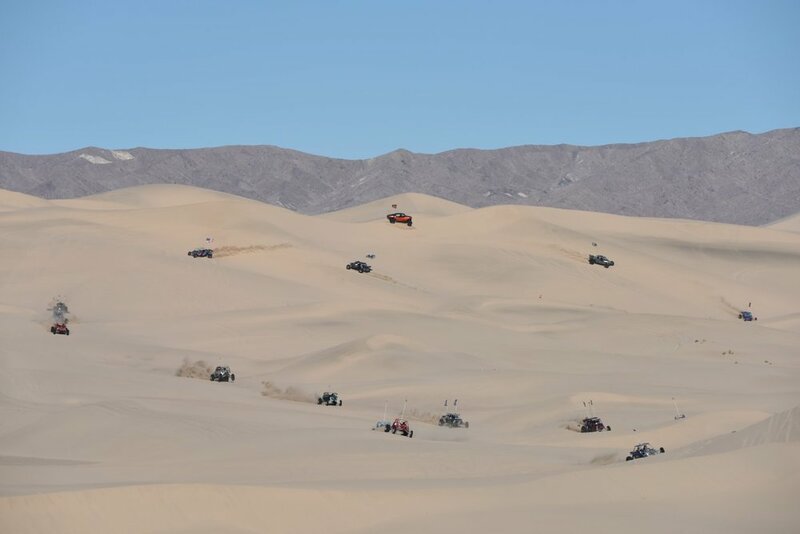 This trip gives the buggy owners of Dumont a chance to meet each other and run the dunes together for a full weekend without the crowds. So don't be a stranger. Every year we have new people join the camp and end up leaving as friends. 8:00 AM-? : SandCars and Coffee- Pull your car into the center of camp, bring your coffee and let's say good morning and arrange a morning ride. Saturday Afternoon: The rest of the day will be dune runs, hangout, maybe bust out Ben's scales and weigh a few buggies, more dune runs, probably a group photo, some more dune runs, and it seems every year a couple guys always participate in their own impromptu huckfest when we stop at the jump back behind comp hill. Saturday night: We'll have carne and pollo asada tacos for everyone in camp, enjoy some campfire and talk some smack. Chad, aka dentboy, may put his projector up for some nightime movies, UFC, or something entertaining. There may even be some games of flipcup! As you see it's very laid back and we don't put any expectations or schedules on the weekend. Afterall it's the dunes. Let's go have some fun. Want in? Here's what you need to do. 2) Post up on the forum topic that your coming. 3) Pull up and park with the group. You know how that works. "Hey man, cool if I park here?" Let's see what kind up messed up circle we can create this year! I don't have a sandcar. I have a sxs/bike/quad. Can I come anyways? Of course. We love meeting and hanging out with all our friends from DDR. 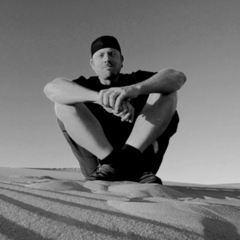 We only ask that everyone respect that this is an annual trip focused on the buggies of Dumont and that you please stay behind the cars on the dune runs. Different machines don't mix well when it comes to high horsepower machines. Also, if and when we do a group buggy pic, it's just for the buggies please. Do I need to contribute anything for taco night? No. That is something we do to say thanks for coming out. If you have a side dish or something that goes well with tacos, feel free to bring it. It's definitely not necessary though. We usually have a good spread. I want to go but I don't know anyone. That's perfect. Come out and make some new friends. Introduce yourself. Everyone that comes out each year is super cool. Do you guys run the dunes on Sunday too? Yes! Although some only make a day trip on Saturday or pack it up and leave first thing Sunday morning, many of us are there until late in the day on Sunday. How early can I go out? Will there be anyone there on Wed or Thurs? I (Pete) will be out there Thursday night sometime. There may be others going out earlier and grabbing the spot before me. The best way to find out and coordinate that is on the forum topic. Post up and we'll chat about it. So don't forget to RSVP! We need to know you are coming. Hope to see you all there!